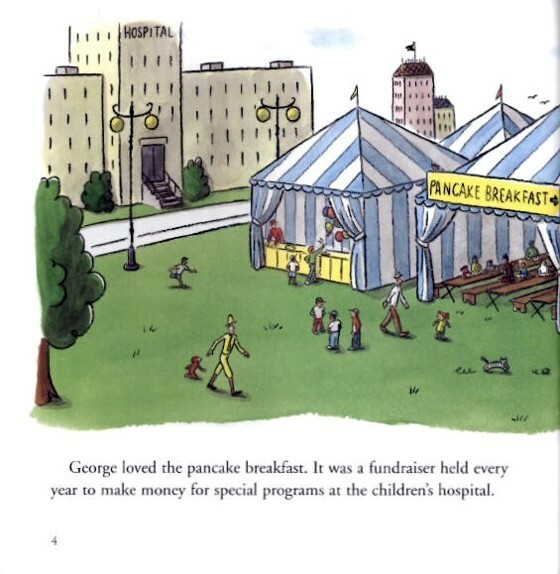 Every year George and the man with the yellow hat attend the pancake breakfast to benefit the children's hospital. 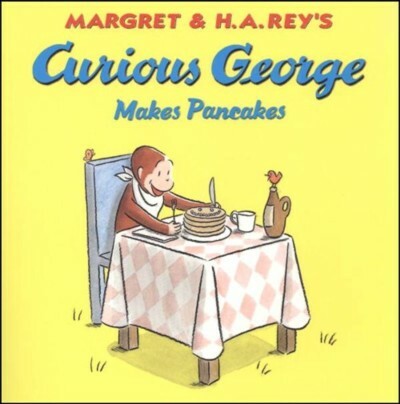 Always curious, George finds his way to the pancake table. 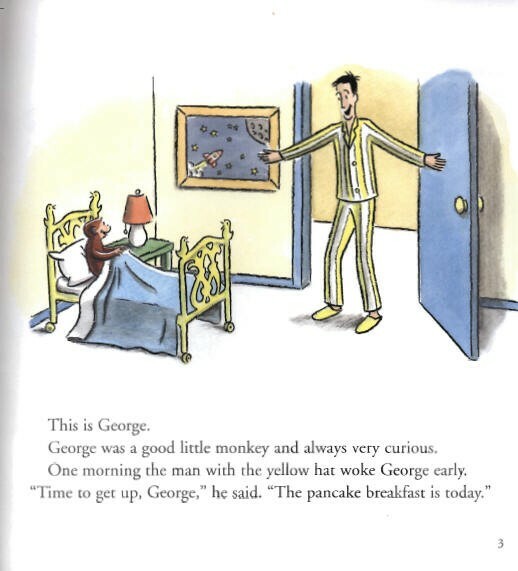 After making some of the most interesting pancakes the crowd has ever seen George gets into even more monkey mischief. The adventures of Curious George continue in an all-new series beginning in fall 1998 with eight new stories. 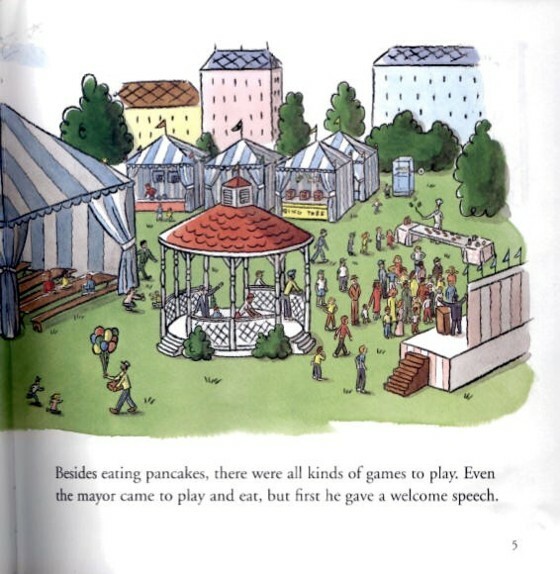 Written and illustrated in the style of Margret and H. A. Rey, the books appear in paperback (8 x 8") and hardcover editions and feature the art of Vipah Interactive, the animators of HMI's Curious George CD-ROMs.